... he determined the limits of one-parameter families of 'homographic' plane curves (that is, of curves in the same orbit under the PGL(3) action). The aim of this monograph is to supply a treatment of the Laplace transform and its applications to electric circuit theory. Accordingly, the main body of the text is divided into four parts. Part one provides an elementary discussion of the unilateral Laplace transform. In addition to derivation of the basic properties of this transform, applications are indicated to ordinary linear differential equations with constant coefficients as well as systems of such equations. A brief discussion of Bessel and theta functions is included. In the next three parts, the author applies the basic material to the solution of some of the ordinary and partial differential equations in electrotechnics. In part two, differential equations arising in lumped circuit phenomena are handled. In parts three and four, transmission lines and electric filters are discussed. Before the publication of this monograph, Ghizzetti had left Turin and moved to Rome. It was in 1939 that Lamberto Cesari left his position at deputy director of the Istituto Nazionale per le Applicazioni del Calcolo of the Italian National Council for Research in Rome when he was appointed as 'professore incaricato' (assistant professor) at the University of Pisa. Mauro Picone, who had founded the Institute in 1927 and was its director, appointed Ghizzetti as deputy director to replace Cesari. Ghizzetti took up the appointment on 1 November 1940. He continued his practice of producing the notes from his lecture courses in lithographed form, producing Calcolo delle probabilità Ⓣ for his 1940-41 and 1941-42 courses. After beginning work in Rome, his research interests moved towards the theory of moments and the theory of partial differential equations. He published a series of papers in 1942: Sui momenti di una funzione limitata Ⓣ; Ricerche sui momenti di una funzione limitata compresa fra limiti assegnati Ⓣ; (with Renato Caccioppoli) Ricerche asintotiche per una particolare equazione differenziale non lineare Ⓣ; (with Renato Caccioppoli) Ricerche asintotiche per una classe di sistemi di equazioni differenziali ordinarie non lineari Ⓣ; and most importantly Sui problemi di Dirichlet per la striscia e per lo strato Ⓣ. The Scuola Normale Superiore of Pisa suffered severely during the war. Pisa was bombed by the Americans on 31 August 1943 and the buildings of the Scuola Normale, used as a barracks by German troops during the war, were badly damaged. Pisa was liberated by the Allies on 2 September 1944 and on 25 September 1945 restoration of the Scuola Normale began. Alessandro Faedo was appointed in 1946 and began a series of brilliant appointments building Pisa into a world leading mathematical centre. One of these appointments was Ghizzetti who took up the chair of mathematical analysis at the Scuola Normale Superiore of Pisa in 1948. The lecture course he gave at the University of Pisa in 1948-49 was published in lithographed form as Lezioni di Analisi Matematica Ⓣ. He only remained at Pisa for a year but during this time he reorganised and directed the Annals of the Scuola Normale Superiore. In 1949 he returned to Rome when appointed to the chair of mathematical analysis at the University of Rome. Over the following few years he produced new editions of his lecture course Lezioni di Analisi Matematica Ⓣ. 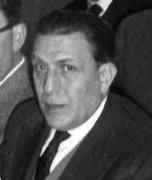 When Picone retired as director of the Istituto Nazionale per le Applicazioni del Calcolo in 1960, Ghizzetti was appointed to succeed him as director. He continued to hold these positions until he retired in 1978. Quadrature formulae have been discovered by such great mathematicians as Gauss, Newton, Chebyshev, and by not-so-great ones. The advent of automatic computation has revived the interest in these formulae, and several recent books are concerned with this subject. ... A general principle for the construction of such formulae is obvious: "to get an approximation to a definite integral of a function f, take an approximation p to f (e.g. a polynomial, or a spline) and integrate." The error can be estimated by integrating the error in the approximation. The main theme of this monograph is the determination of the weights and the errors in quadrature formulae by a uniform method. This method, which goes back to Peano (1913), and had been exploited by von Mises (1935) and Radon (1935), has been examined intensively by the authors. The basis for the method is the Green-Lagrange identity associated with a linear differential operator. Numerical analysts, particularly those who are unfamiliar with Italian, will be glad to have this connected account of research by Ghizzetti and his school, but will often shiver at the unusual treatment of our language and will occasionally have to reinterpret phrases. During the last fifteen years the authors have developed an approach to the construction of quadrature formulae based on earlier work of Von Mises and Radon in 1935 ... the part of this book which deals with the theory should be of interest to research workers in the field of numerical quadrature. The remainder of the book consists of a repository of special derivations of quadrature formulae using this new method, and may be of interest to research workers. Ghizzetti also collaborated with Alessandro Ossicini to produce a new version of his 1943 book. This new work, entitled Trasformate di Laplace e calcolo simbolico Ⓣ was published in 1971. Ten years later, in 1981, the same two authors published Polinomi ortogonali e problema dei momenti Ⓣ which, as the title indicates, surveys of the connection between orthogonal polynomials and the moment problem. In fact Ghizzetti had begun to combine ideas on special functions with his work on approximation theory during the 1960s. A feature of this work involved extending the classical concept of orthogonal polynomials to s-orthogonal polynomials and studying their associated series expansions. His work also extended to examining applications of mathematics to various different physical situations. For example, he worked on applications to the oscillations of water in hydraulic systems, the theory of elasticity, and probability theory. In fact his publication record was outstanding and Alessandro Faedo lists 193 items in . We should also note that he collaborated with a large number of his colleagues in joint work. Here is the list of his collaborators (presented roughly in the order in which they wrote their first joint work with Ghizzetti): Rinaldo Perassi, Carlo Ferrari, Camillo Possio, Renato Caccioppoli, Mauro Picone, Antonio Borsellino, Carlo Miranda, Silvio Cinquini, Luigi Amerio, A M Libori, G Cordelia, Ennio De Giorgi, Luigi Marchetti, Corrado Böhm, G Gullotta, Wolf Gross, Paolo Ercoli, Andreina Morelli, Jolanda Verna, Maria Sofia Roma, Alessandro Ossicini, Francesco Rosati, Laura Nicolò-Amati Gori, Vittorio Mongiardini, Marisa Venturini Zilli, V Ceccarini, Bruna Germano, Francesco Mazzarella, and Lia Santucci Patini. Ghizzetti was honoured for his contributions in several different ways. He was elected president of the Associazione Italiana per l'Informatica ed il Calcolo Automatico from 1961 to 1964. He was elected to the Academy of Sciences of Madrid in 1953, and made a corresponding member of the Academy of Sciences of Turin in 1959. In 1978 he became a full member of this academy. His greatest honour was election to the Accademia dei Lincei. He was made a corresponding member of the Academy in 1980 and became a full member seven years later. ... earned my respect and friendship for over half a century.